I have to apologize for Linky Tools last week. Almost all the images were lost I contacted the guy that ran it and he says it was a problem with his hosting center. Here are a few of them with pictures this time. I bet you were hoping not to see any more Reunion hot pads. Sadly to say it is a slow news day today and so your stuck with these. If there is any consolation they should be the last for a long time (reunion hot pads, Other hot pads I can promise we will have more of). Though things are slow today I have been busy I am not sure how much a fan you are of it but I do post pictures as I am working on my Instagram feed. I need to try something new, Star Bright! I have been sitting here wondering what I want to do new next. 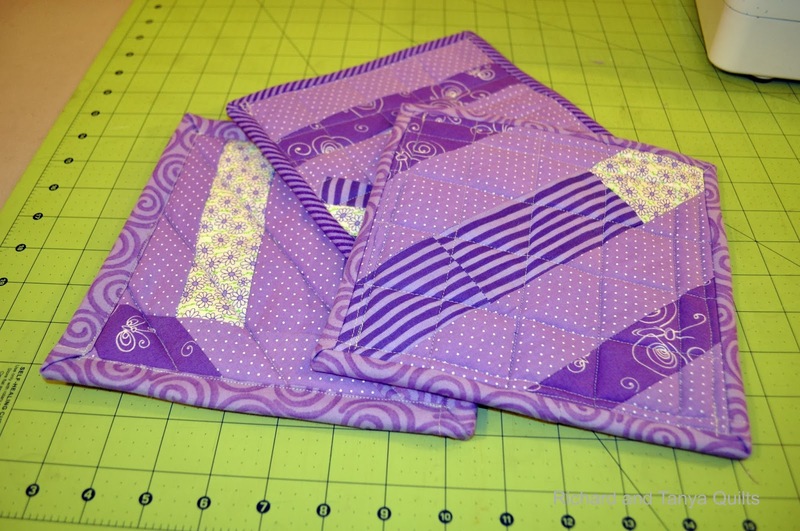 I use to try new things all of the time (new quilting things) and have not been doing them lately. 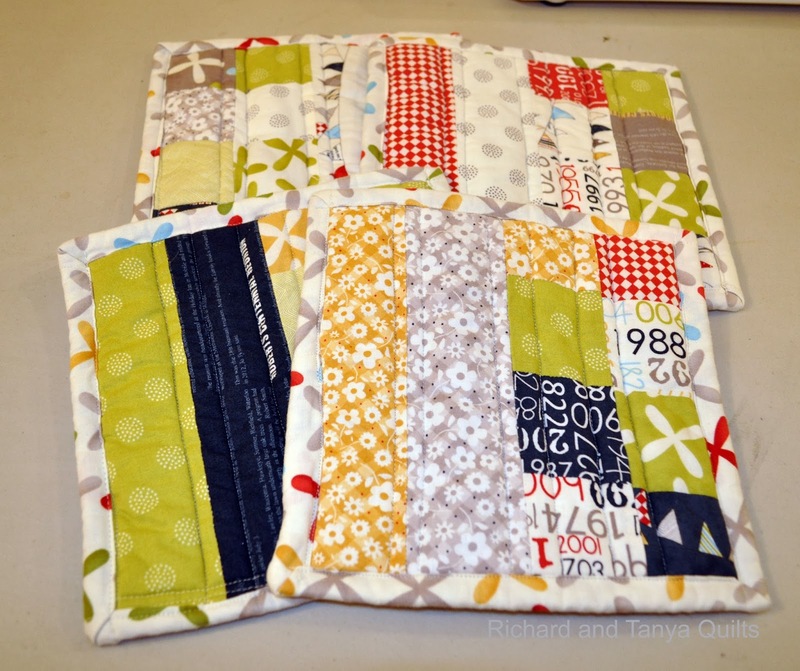 While reading blogs lately, I have been so amazed by all of the Paper Pieced things that people have been producing. 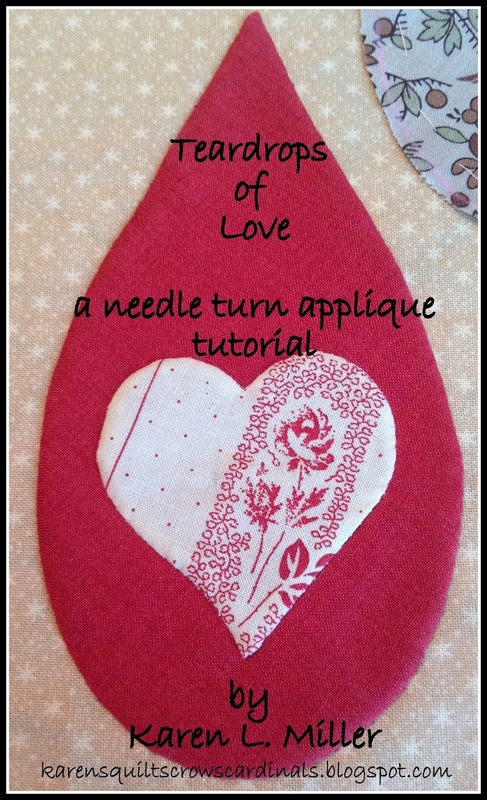 I have decided that I want to make something paper pieced. So I sat down with EQ7 and designed out a simple 6 inch paper pieced block. While drawing out different blocks (this was my 4th) my son Jared was helping me. You can tell when he helps as everything has to be colored green (it is his favorite color). He was had to point out my original blocks were not symmetrical and instructed me on how to properly make my block. So having picked the block I decided I wanted to make a on point quilt (I seem to be on a diagonal kick for some reason). 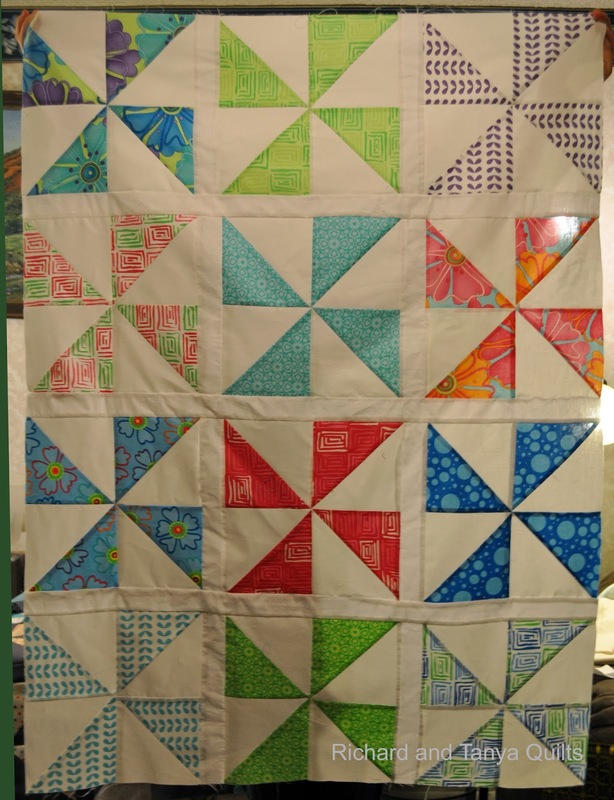 Any way tossing all of my blocks into a single quilt with approved quilt size from Tanya, I came up with what I will refer to as the frog quilt top. This looks cute, but just wont cut it for me. 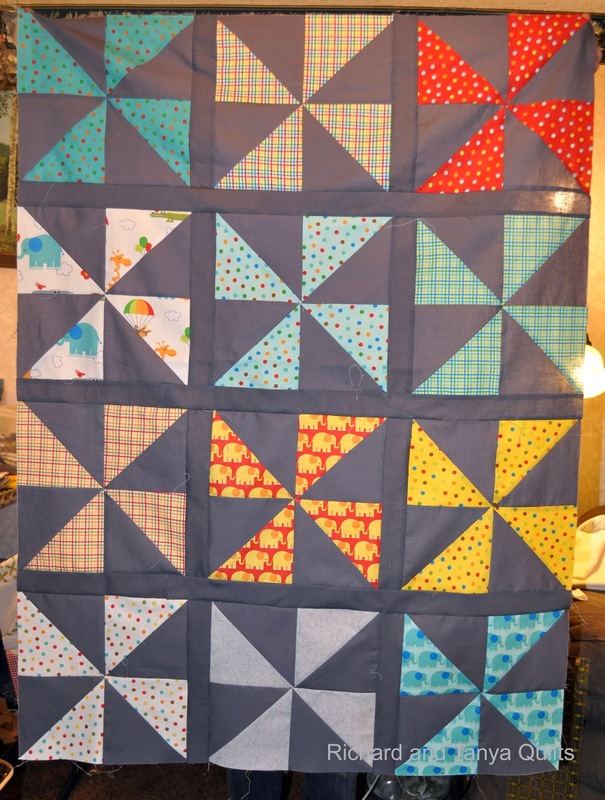 So twisting my blocks around, I was happy with what I then referred to as a star quilt. I am fond of stars so it was good. I do have issues though with the all green, but that can be fixed. It was funny after I saved the above picture Jared had to point out that I messed up a block. If you look at the bottom 2 blocks in the above shot they are facing the wrong direction. Now this is what I finally decided was the quilt that I plan to make. I plan to call it Star Bright. Now I need to pick a fabric line and order fabric. Then of course have to sit down and start making my paper pieced blocks. 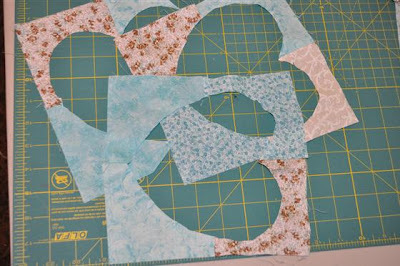 I hope that after making that many simple paper pieced blocks, I can get good enough to do some of the cool complex blocks that so amaze me. Though this is hanging from the wall it is not a wall hanging. 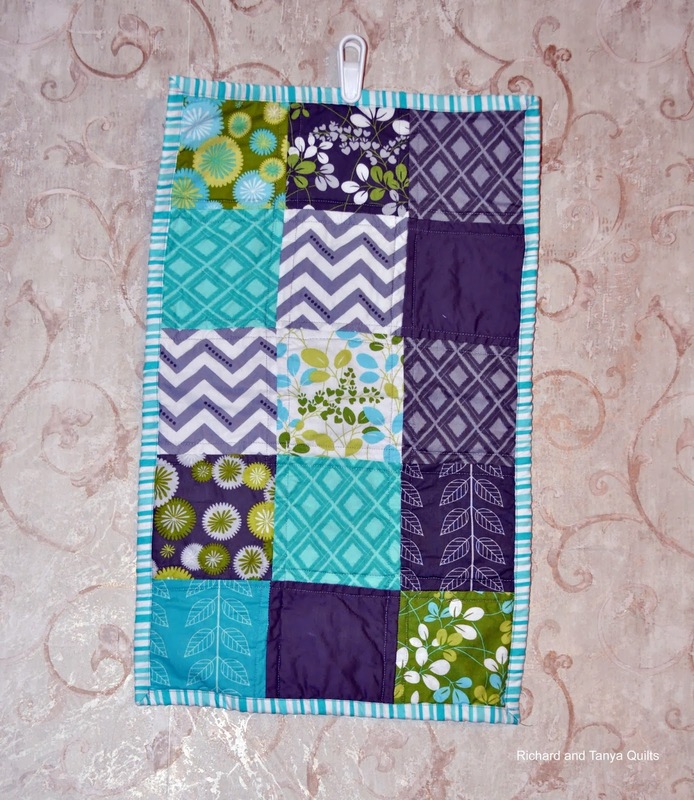 This is a table topper made out of a fabric line called Simply Color mixed in with a solids. 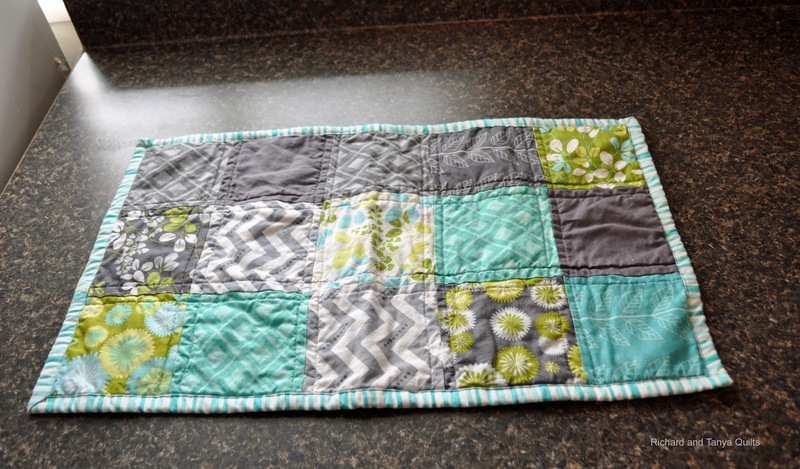 This table topper was made using our free pattern on Craftsy. One of the things Tanya and I struggle with is taking pictures of our item. We live in a small house with 4 kids and we have little space that is not covered. To take these pictures, Tanya cleared off her desk in our computer room. It was a great wide open spot with the exception of our desk reflects so much light. I have been so desperate for better pictures that I have even been thinking of taking classes at school or even online classes. I got a email on a class from Craftsy today and got 58% off on a Commercial Photography class and am finally ready to admit I need help. I have already watched 3 lessons and found a few things I could do to improve what I am doing. The big problem again is space. I don't have any room to spare in my house. I am glad the seasons are changing and that outside will soon become a option for quilt taking, but for now still struggling. 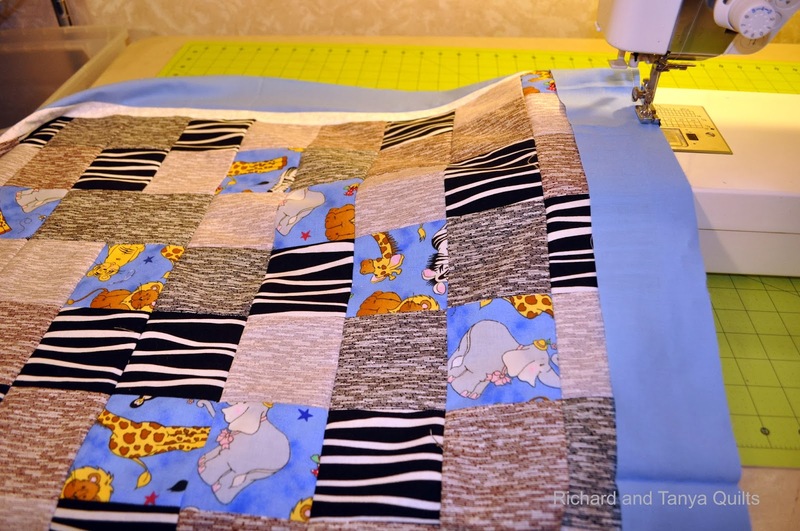 As always my quilts are simply quilted with strait line quilting. 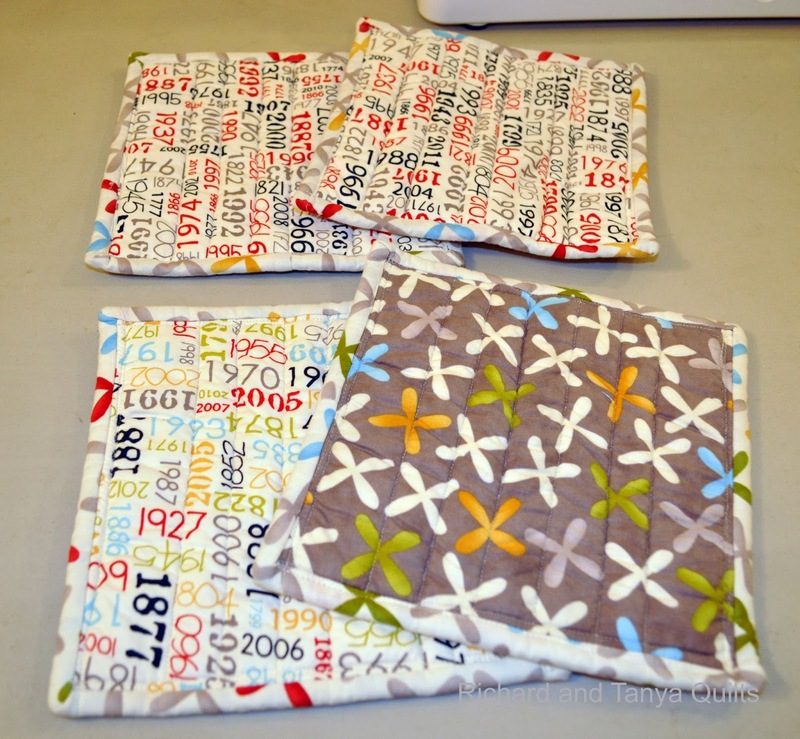 I really need to branch out and try some of the FMQ, but am afraid to give it a try. Some of last weeks great shares last week. 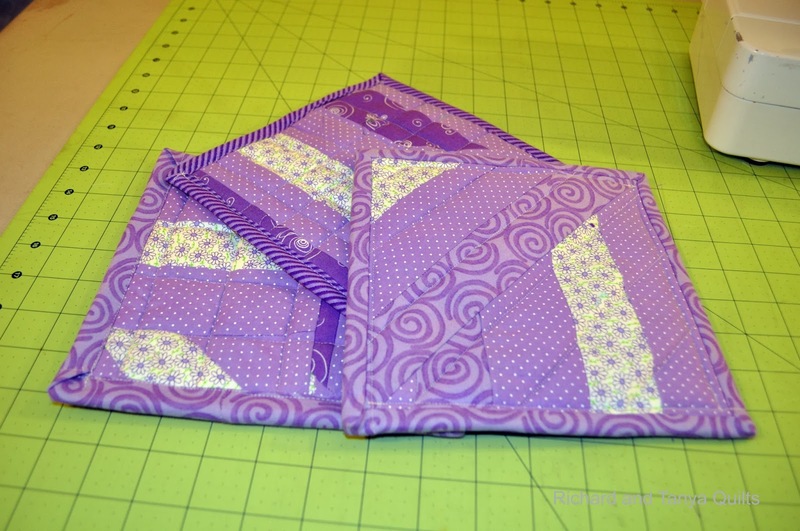 Today I have some Purple Hot Pads to show off. These were made weeks back and I have been forgetting to post it so now is the time. I think they look pretty cute for scrappy hot pads. It is funny how some things just get lost in the wash. 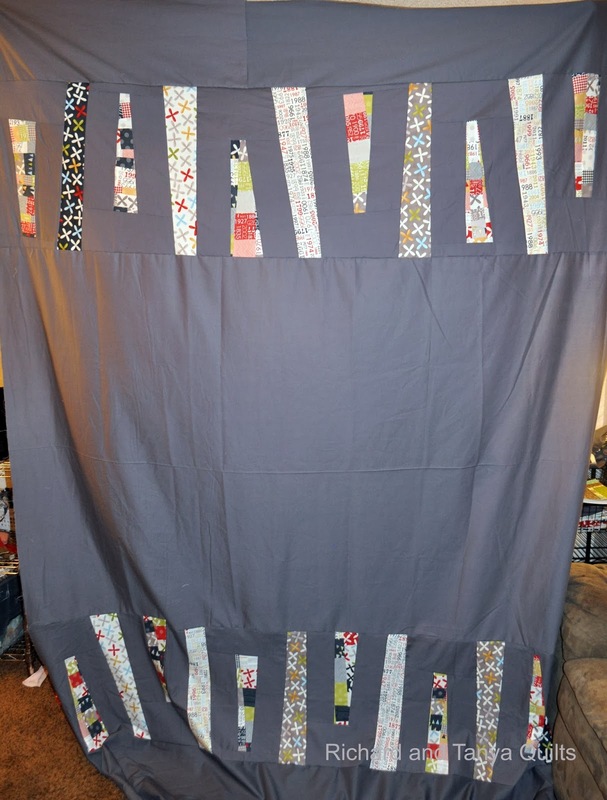 This is the front above and back below (not sewn together) this quilt was finished in late December and quickly washed and put onto my son Jame's bed. 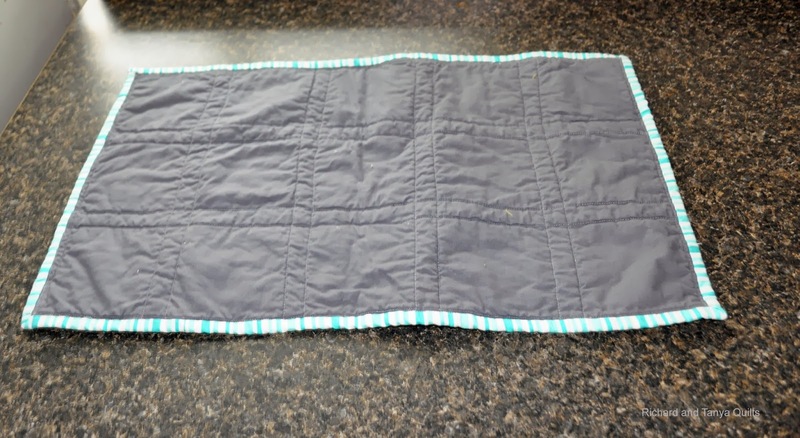 He then got it dirty (only a 18 year old son would spill food on his own quilt and let it mingle there) so the first time I went to take pictures of it, well it was just not presentable. We washed it again. This second time washing I did manage to get a picture taken of it (though not by me) this time it was by a guild member at our guild meeting in and I had to grab this picture off Instagram. At least we have a beginning of a picture of this quilt. As of the beginning of the story of this quilt (Feb 8) I have yet to sit down and get good pictures of this quilt and I will sadly need to wash it again (Teens are hard on quilts you see) My son tells me though that he loves it and sleeps with it (and apparently eats with it) every night. Yea it seems that I finally managed to get a picture of the quilt. It is funny how this blog post has taken almost 3 weeks to write. 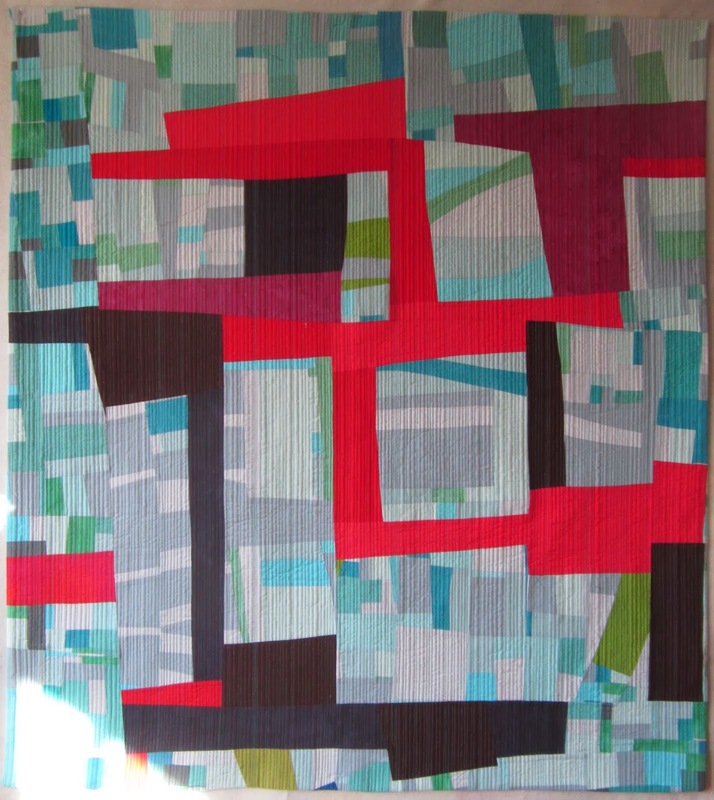 James's quilt is a pattern out of a book called Quilting Modern. It is a pattern named Winter Windows Quilt. 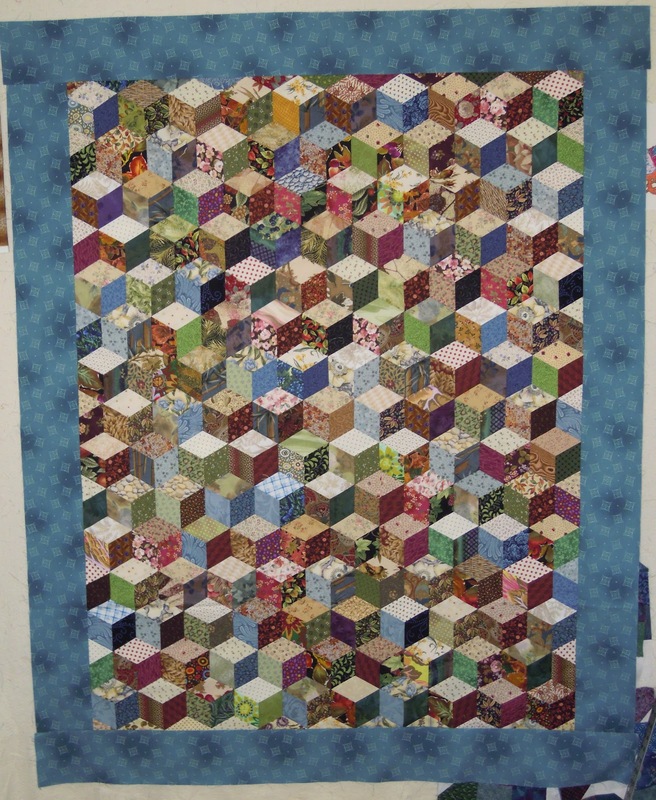 It uses a quilting technique called Modern Crazy-Piecing. The pattern has only one swath of the piecing across the middle. 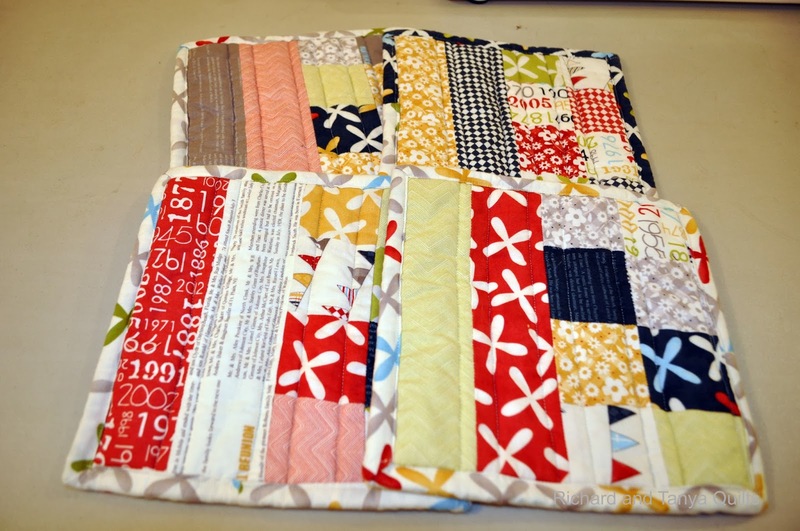 I did it on both sides because I wanted to quilt around the blocks so that they would show the quilting on both sides. I think it turned out fantastic and so happy that we now have pictures of it. 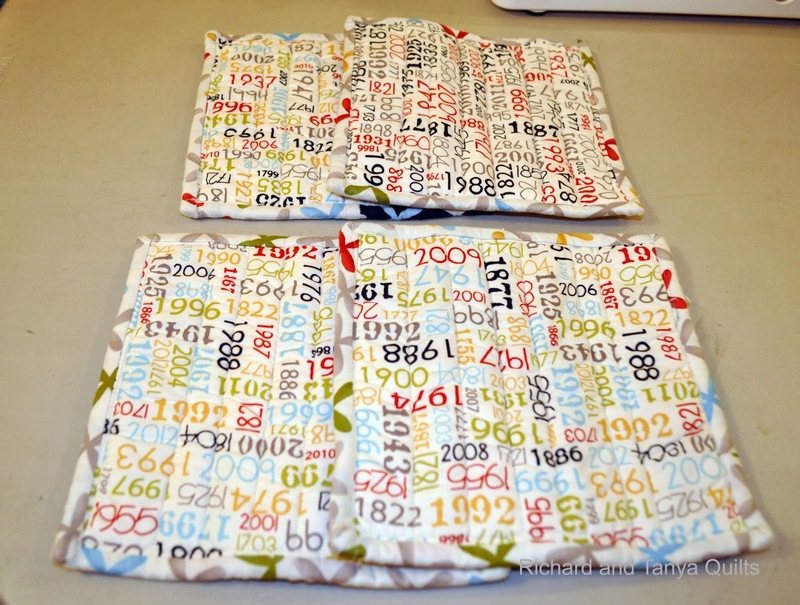 Here are more of our hot pads made out of reunion. I have had so much fun using up my 2nd bundle of reunion. I am now on the hunt for a new bundle of fabric. 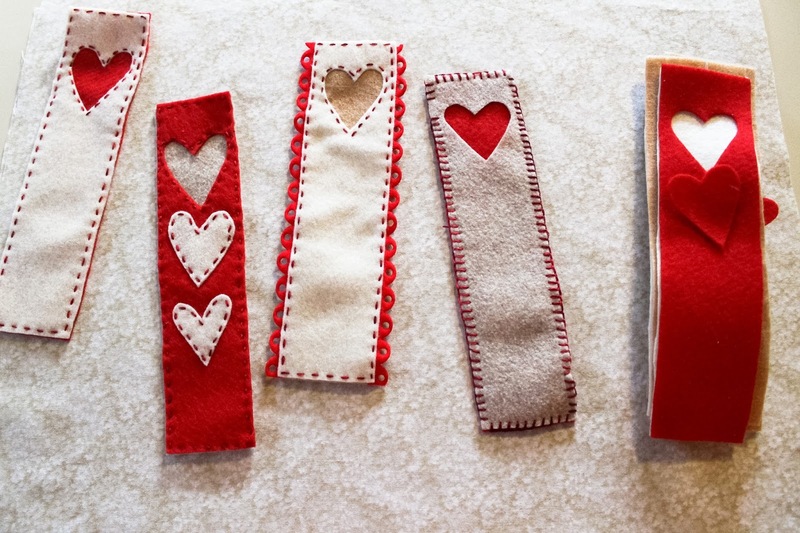 Tonight I was poking around and found this bundle on Craftsy. I have though about what new bundle I should buy next and what new colors I want in my new quilts. I am not yet set on what I want but I know what colors I like best. I love reunion and want more that is similar if you know of any good lines please let me know. Love is in the air (or so they tell me) and I suppose being a good husband I should show off the quilt I made for my wife. This was started before last valentines and finished only last December (Valentines at last Dec 24th 2013 Blog Post). After finding the Heart I made my wife I decided I should look for other hearts we have done over the years. Below are 5 more pictures of some hearts we have done in the past. Next I would like to show off a few things linked up last week and a couple weeks back. We are excited to show off some of last weeks finishes. Please visit some of these great sites and link up your finishes this week. 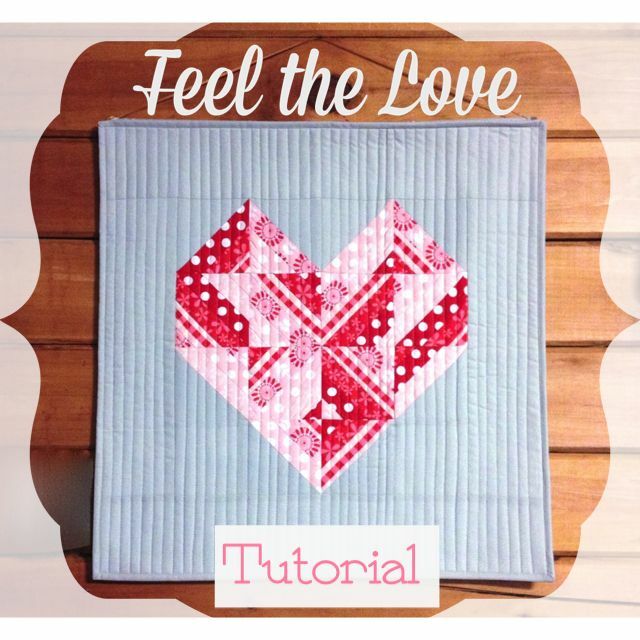 Valentine's Finish - HoneyBee Quilt Co. When I fist started blogging 2 years ago I started as RichardQuilts.Blogspot.com my wife Tanya at that time was not part of the blog. 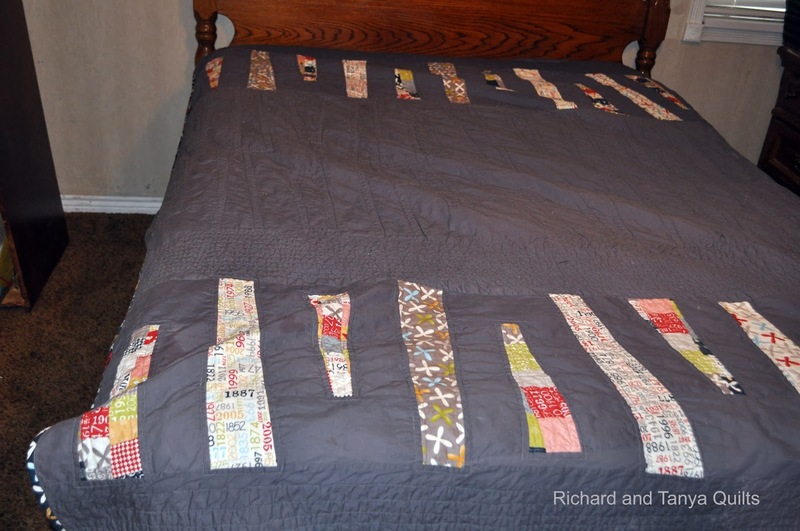 Slowly she started quilting and slowly the site became Richard and Tanya Quilts. The name change as it was happened with out me or Tanya having done it. It was done by James are oldest son he hated how the blog looked and wanted it change. You ask why I talk about this. If you look above at the URL you are now viewing http://blog.richardandtanyaquilts.com/ now how the heck could that happen. The funny thing is it changed yesterday at 3am I could not sleep last night and had a million things going though my brain one of which is that I should register the domain. So nothing better to do at 3 am. I registered the domain. And then I went to blogger and set up my sub domain. I am a web developer by day so this is not a hard thing to do at 3 am. I plan to add a page at the main url to reference all of the various things we do, but Tanya insisted I go to bed so maybe some time this weekend. 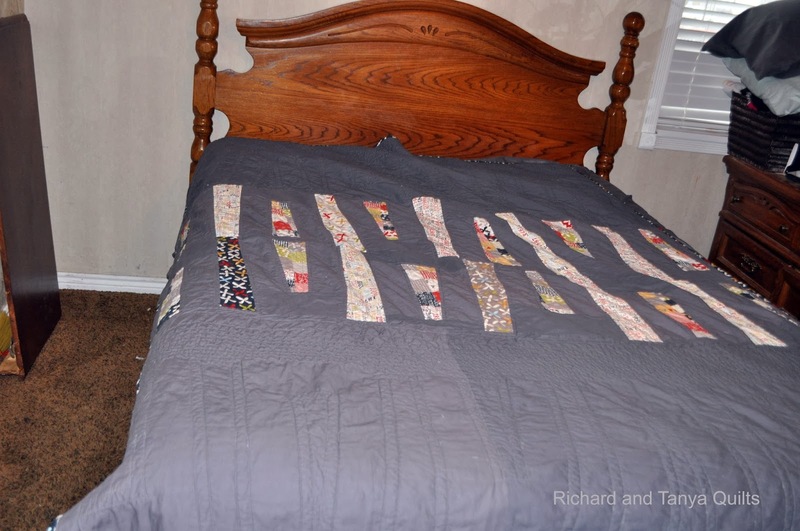 Since I had such a boring thing to talk about (I know I have put most of you asleep) I added 2 quilts that I have worked on over the last week. The bottom one is on my machine and might get done tonight the other one is basted and may be next up to quilt. 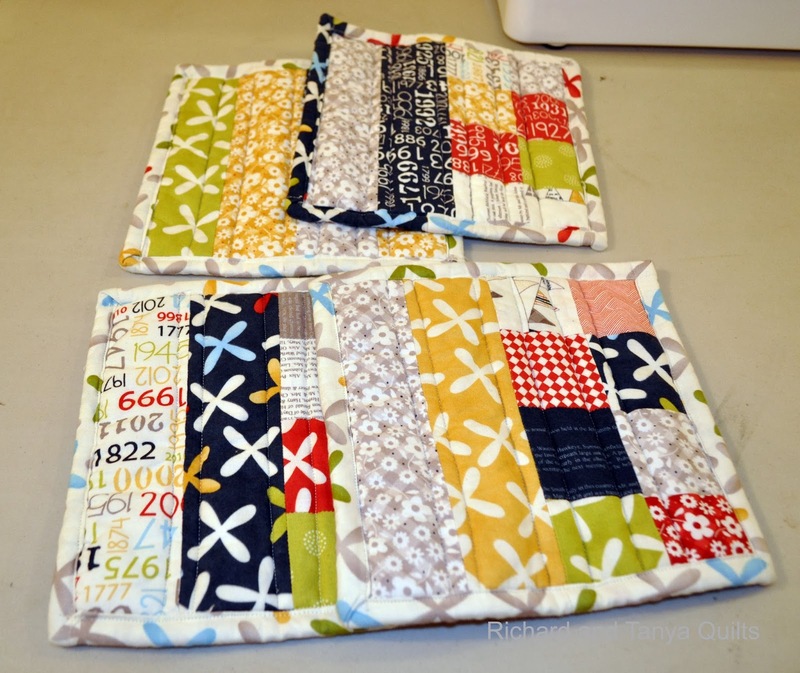 I have a pile of 7-8 that need quilting now. 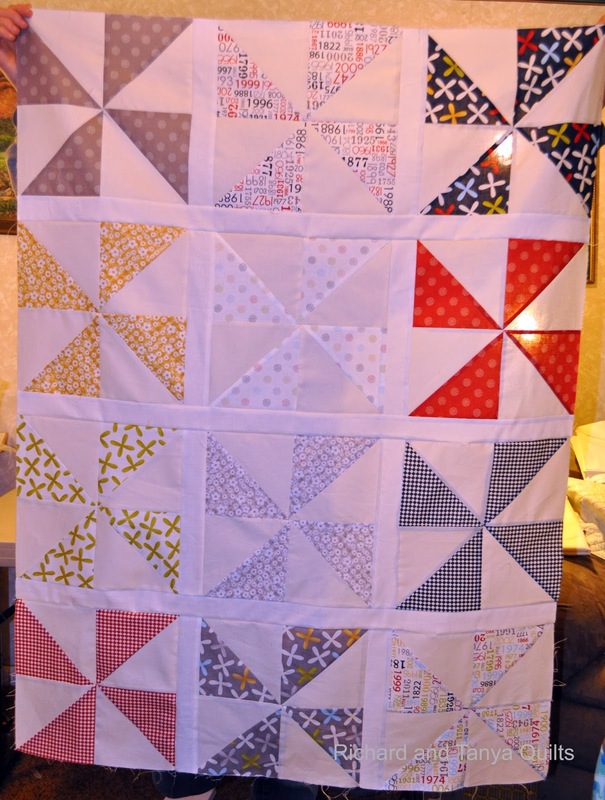 I have been making a ton of quilts out of my Reunion fabric line. A few weeks ago I realized I have all these little pieces and scraps that will just never make it into a quilt. So I started sewing them together and was trying to figure out what to do with them. Tanya walked into the room and said what are those hot pad's and so well yep I guess that is what they are. I ended up making I think 13? Any way these are the first 4 done. 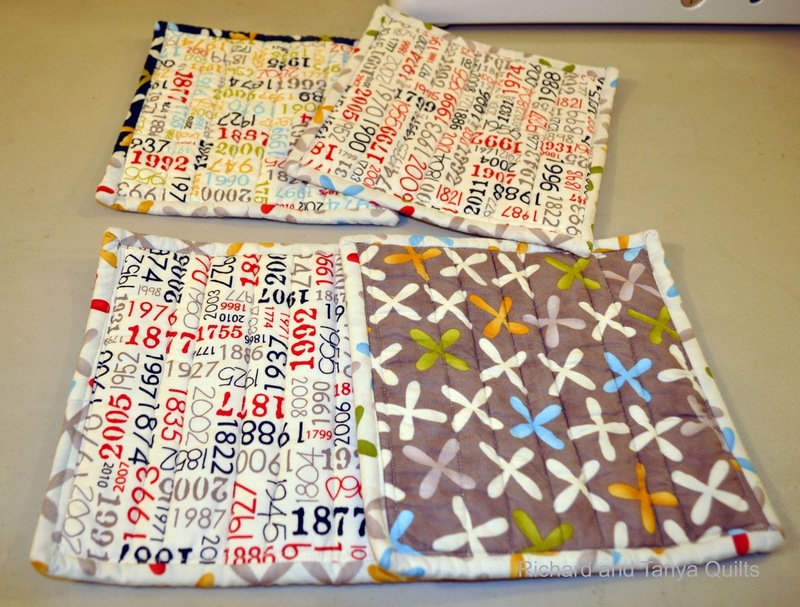 I have never figured out how to do the flip the inside out side (no bind method) of hot pad making so these are all going to be bound just like a quilt (since I am getting pretty good at that). When I got them all done my wife again points at them and asks me where is the loop so they can hang up. I quickly pointed out that not one of our own hot pads are hung up, so these will just have to live with out them. So I have not asked a question for a while but now feel compelled to ask one. When you make hot pads what is your preferred size, shape, binding method. How many layers of batting, type of thread etc do you use. For those curious my wife gave me some cotton thread for these (she says it won't melt, though I am not so worried about the thread, more worried about my hands melting). As for construction I put 1 layer of cotton batting and one layer of insul bright (though I can't figure out why the 2 sides look different, is one the top and one that bottom? Oh wait that's a new question). These hot pads were made of 8 1/2 inch square (well they were squared off and cut down after quilting as every thing seems to shift when quilting these buggers) so they end up more 8 inch (or there about) square. Of course no loop thing as I have not a clue how too hook one on and still make it look like an adult and not a 4 year old sewed them together. It is funny when I thought about what I wanted to post today the 3 pictures in this post were not the original plan. 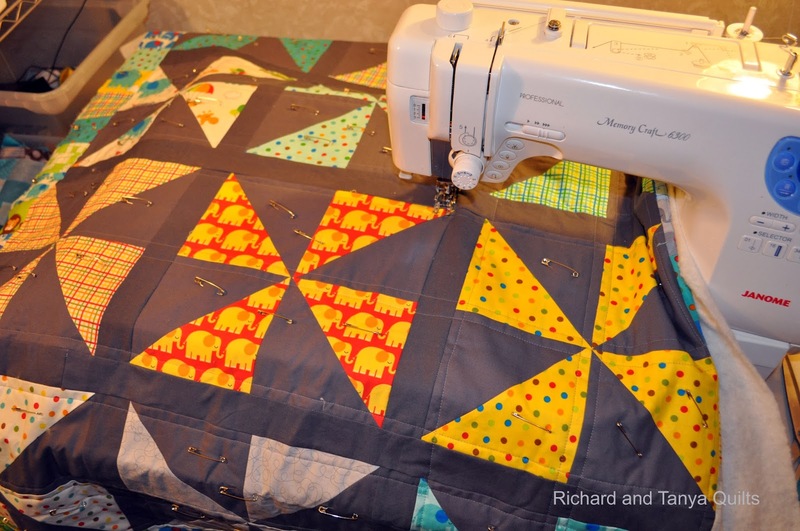 I have finally got back to a little quilting after my knee surgery (and I have new ugly pictures of the inside of my leg, that again Tanya says is not material to share on a quilting blog). 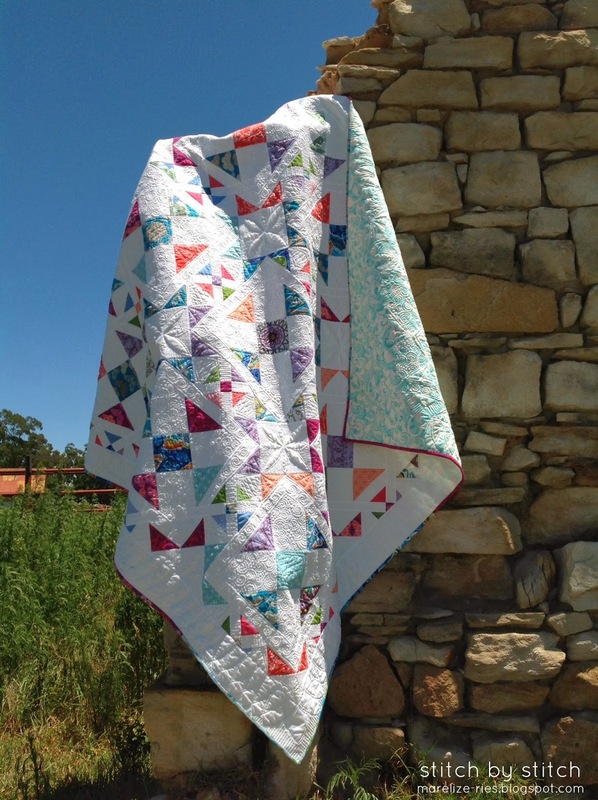 Last year Tanya and I started making 3 new patterns for our Craftsy Pattern Store The first was our Chevron Quilt Pattern it has already be added. 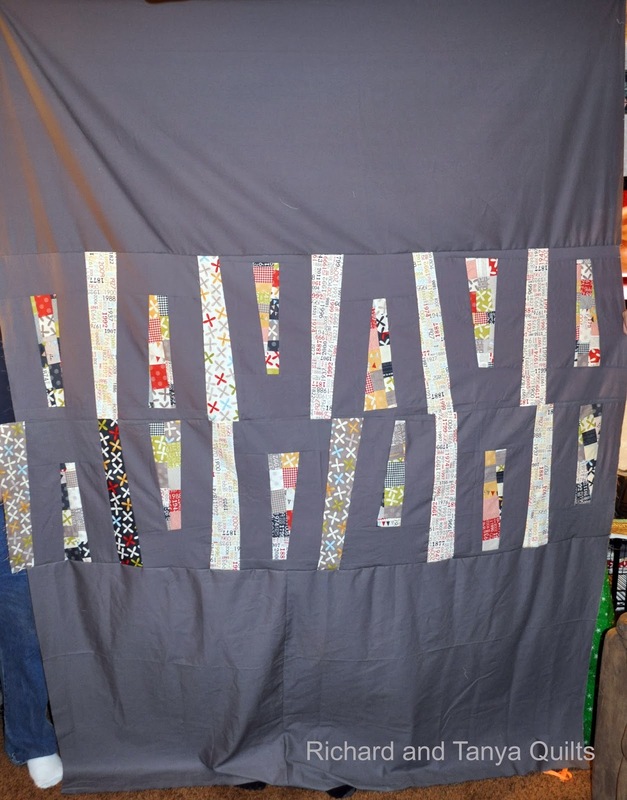 Then second was a HST quilt (Richard calls this the boring quilt pattern, but don't tell Tanya she might smack him up side the head). These three today, are I think my favorite of the three. I like pinwheels, not sure why. I also am not sure why we are struggling to get them done, as you can see they are finished up to the same point. What we are still missing is our borders and they will be cute you will just have to wait. Again these are sadly not what I quilted this week, but the pictures have been sitting here waiting for me to show them off. SO TADA! 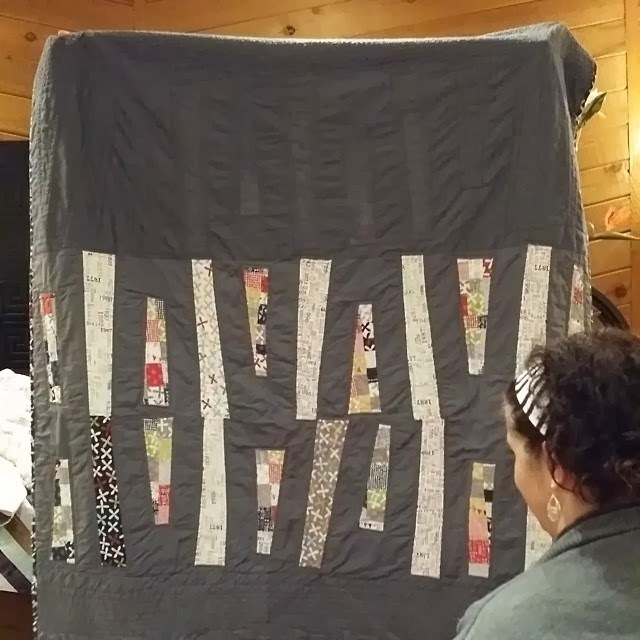 I did create the front and the back of a cute Simple Squares Quilt, but at 11 pm at night could not convince any of the kids to hold them up so I can take a picture of them. 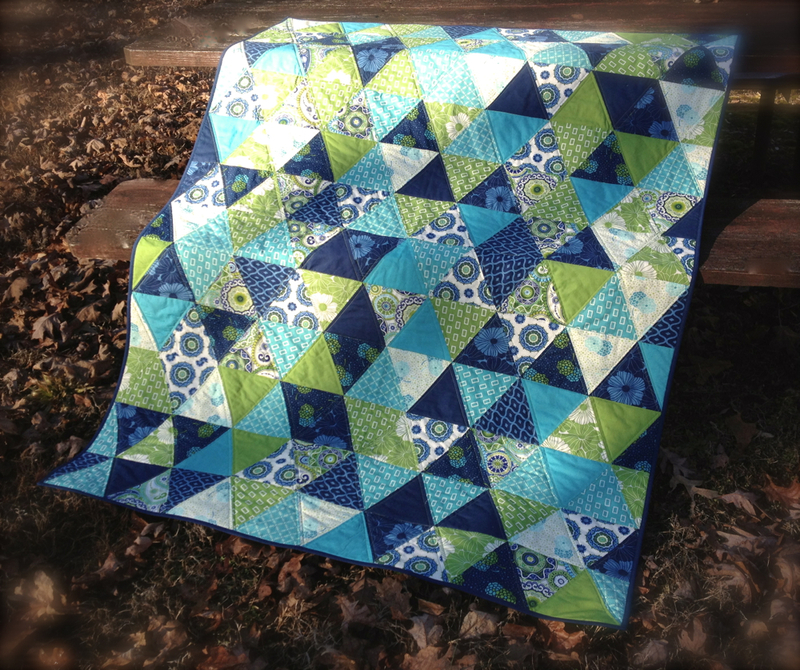 You will have to pretend these 3 pinwheels are the quilt I worked on. Maybe another day I will show them. Or maybe just the finished quilt a month from now. Any way I am doing better. Dr tells me that I can start to exercise and I signed myself up for physical therapy, so that they can make me hurt all the wrong ways. Any way thanks for all the prayers and well wishes.